It’s that time of year again! Last year was the worst flu season in a decade.1 What this year will hold is still to be determined, as the peak of flu season changes year to year. In the winter of 2014-2015, it came in December. The next year, it was in the spring.2 So it’s best to start as soon as possible taking measures to protect students and faculty from the flu. 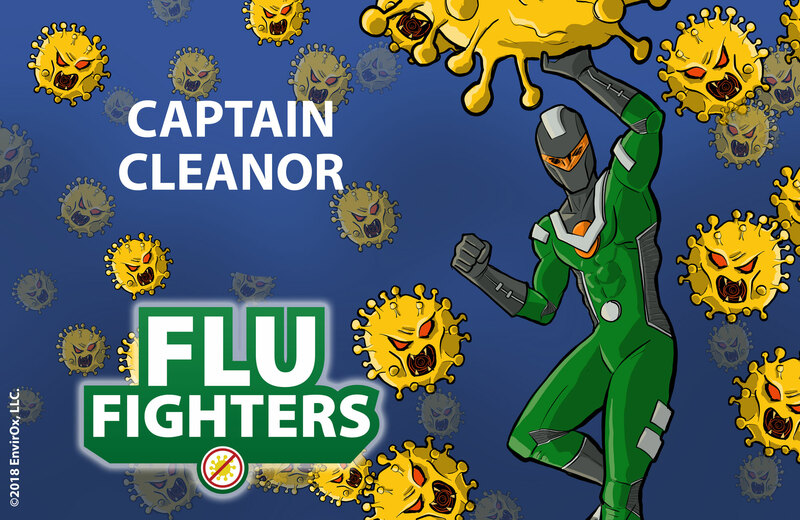 Here are three steps every school can take now, represented by one of the three members of our Flu Fighters Super Team. You’ll see that cleaning staff are an integral part of the team, but you can also download and share a hard copy of this article with other school officials as a reminder. 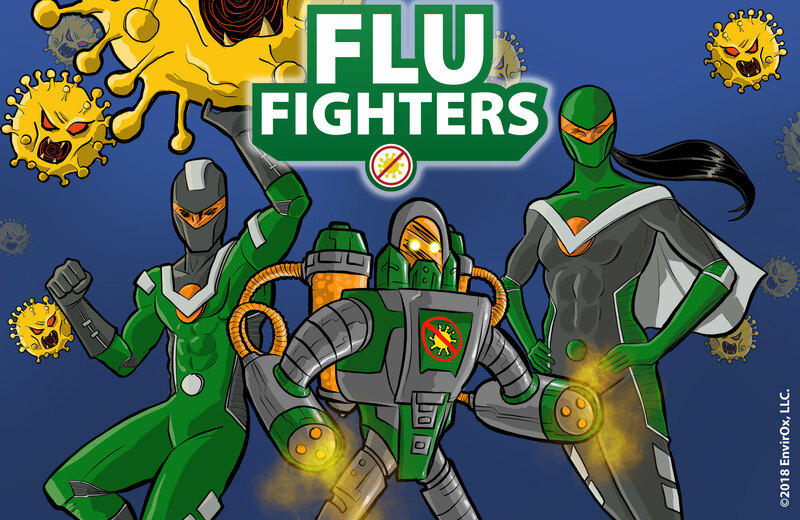 The CDC strongly recommends flu vaccination as a method of prevention for everyone 6 months or older. It’s especially recommended for children 6 months to 5 years old, and people age 65 or older, as they’re more susceptible to complications from the flu.4 Schools can partner with local public health offices to offer vaccinations on site. October is the best time to start vaccinations, but it’s still helpful to get one even through January. 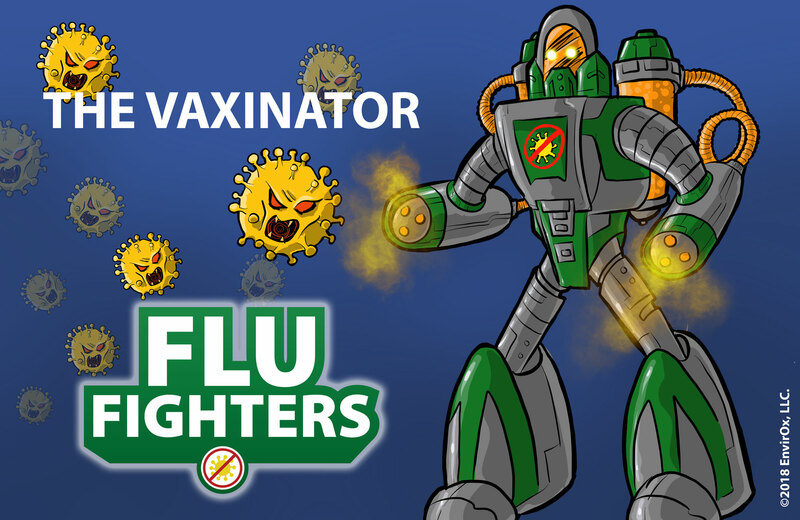 Although flu vaccines have been shown to have a very good safety record—with hundreds of millions of Americans receiving the vaccine with only mild side effects such as soreness, redness, or swelling where the shot was given5—vaccination may not be a choice everyone wants to make. That’s where the rest of the team comes in. There are some easy steps that everyone can take to prevent the spread of flu. Sick? Stay at Home. It's not possible for everyone, but students, teachers, and building staff should try to stay home when possible if they have the flu, so they don't spread their sickness to others. Coughing? Sneezing? Cover it up! Have tissues on-hand to cover your mouth and nose. If tissues aren't available, it's better to cough or sneeze into your inner elbow. The goal here is to prevent the contamination from being dispersed through the air or be left behind by hands. Want help reminding kids to do this? 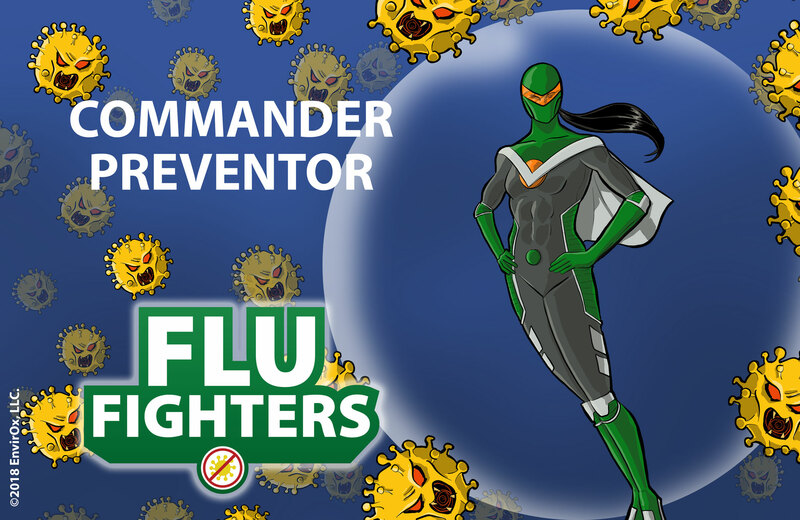 Download our free posters, featuring Commander Preventor. They are available in two common printer sizes. Last, but certainly not least, is the critical component of a school’s cleaning staff. However, a janitorial staff’s hard work is only effective if they are using the right cleaning product. Choosing a product like H2Orange2 Hyper-Concentrate 112 can make sure your team is fighting the flu with maximum power and efficiency. It’s EPA registered to kill Influenza. Apply the solution to pre-cleaned hard surfaces. Allow the surface to remain wet for 5 minutes. Let it air dry or wipe the surface dry to remove excess liquid. One thing you might think about is leaving a bottle of red in every classroom! Download and hang up the following poster to encourage regular cleaning of high-touch surfaces. H2Orange2 is safe for teachers to use throughout the day. That’s it! So, while the team is strongest when it’s together, any of these in combination will help you and your school fight the flu this winter. Want to try H2Orange2 for yourself? Request a free trial today.